“They (Apple engineering teams) have even gone and worked with professional mask makers and makeup artists in Hollywood to protect against these attempts to beat Face ID. These are actual masks used by the engineering team to train the neural network to protect against them in Face ID. It’s incredible!”, Phil Schiller said (Apple’s Keynote September 2017, from 1:27:10 to 1:27:26). 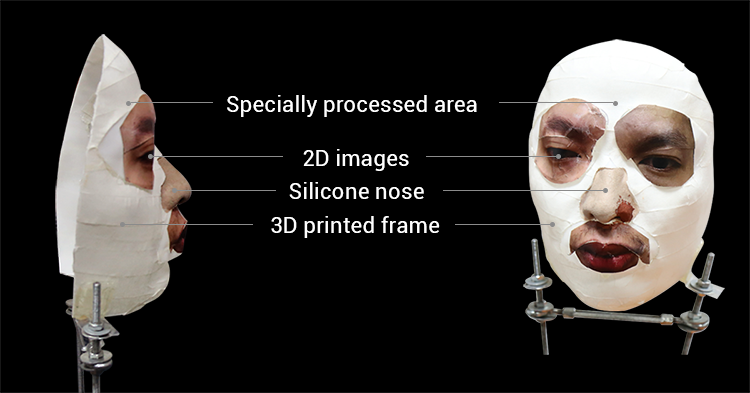 Mr. Ngo Tuan Anh, Bkav’s Vice President of Cyber Security, said: “The mask is crafted by combining 3D printing with makeup and 2D images, besides some special processing on the cheeks and around the face, where there are large skin areas, to fool AI of Face ID”.